Nepal ends as runner-up in Division-2 - Integration Through Media ....! KATHMANDU: A magnificent century by Captain Paras Khadka went in vain as Nepal went down to the United Arab Emirates by 7 runs, to end up as runner-up in the ICC World Cricket league Division-2 championship. 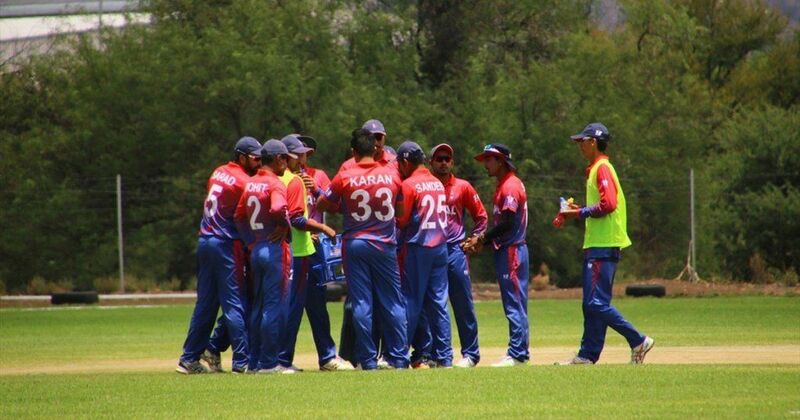 In the final match of the league held at Wanderes Cricket Ground in Windhoek of Namibia today, Khadka’s 112 off 103 balls comprised eights 6s and three 4s. Earlier, opting to bat first after winning the toss, the UAE posted a handsome total of 277 runs at the loss of 4 wickets in 50 overs. Openers Rohan Mustafa (51) and Asfaq Ahmed (114) laid a strong foundation, which was later exploited by Rameez Shahzad (41) and Shaiman Anwar (42) to post a huge total for the UAE. For Nepal, Sompal Kami, Basant Regmi and Sandeep Lamichhane took one wicket each. In reply, Nepal could muster only 270 runs, riding on the century knock by Khadka and contributions from Dipendra Singh Airee (35) and Sharad Veshwakar (30). For the UAE, Amir Hayat took 4 wickets while Imran Haider took 2 and Rohan Mustafa and Ahmed Raza took one wicket each. Following the win, the UAE ended as winner of the Division-2, booking a place in the ICC 2019 world cup qualifiers along with Nepal. Meanwhile, Nepali bowler Sandeep Lamichhane was declared the player of the series.